Our organization is engaged in trading and wholesaling a quality assured range of Maraging Steel Products. These products are manufactured using superior quality raw material to remain in tandem with international standards and norms. Moreover, the products offered by us are available in various specification, which meet the variegated requirements of our respected customers. The products offered are also tested on various parameters in order to offer a quality assured range to the customers. 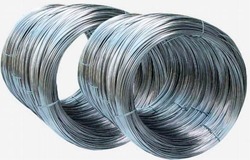 Maraging Steel C350 Wire is a nickel-maraging alloy. Maraging C350™ is a relatively soft but tough material, therefore, readily machined and formed. The aging process of Maraging C350™ raises the hardness to a level sufficient for many tooling applications.Typical applications of maraging steels are missile and rocket motor cases, wind tunnel models, landing gear components, high performance shafting, gears, and fasteners. SIZE 6MM TO 350MM OD PIPE. Maraging C250/Vascomax C250 is a strong, nickel alloy with outstanding ductility, offering ease of machining and forming. VascoMax 250 resists corrosion from saltwater and industrial atmospheres and can be readily welded. 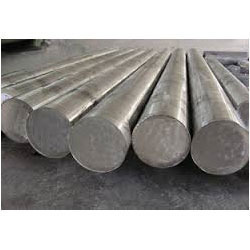 Alloy steels comprise a wide variety of steels with compositions that exceed the limitations of Si, Va, Cr, Ni, Mo, Mn, B and C allocated for carbon steels. In comparison with carbon steels, alloy steels are more responsive to mechanical and heat treatments. Alloy steels can be used in specific melting and deoxidization processes for particular applications. 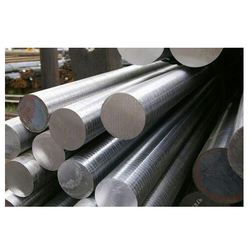 These steels have elements such as chromium, cobalt, nickel, etc. Maraging 300 alloy steel is a very high strength iron base, molybdenum, cobalt and nickel alloy. The following datasheet provides an overview of maraging 300 alloy steel. The chemical composition of maraging 300 alloy steel is outlined in the following table. 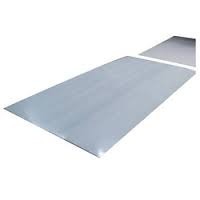 VASCOMAX C300® (also referred to as Maraging C300® and Vascomax C300®) is a vacuum induction melted plus vacuum arc re-melted, low-carbon, nickel-cobalt-molybdenum high temperature alloy capable of attaining yield strengths in excess of 270 ksi (1862 MPa) through simple, low temperature heat treatment at 900°F (482°C). Maraging C300® exhibits good ductility at high strength levels. VASCOMAX C300® also displays excellent notch ductility and is readily welded. VASCOMAX C300® is one of a family of "maraging" nickel steels such as Maraging 250® & Maraging 350® which are martensitic yet ductile in the solution treated condition and attain ultra-high strength through a single low temperature aging treatment. VascoMax 350 CVM (Maraging 350) provides excellent strength and ductility at 340000 psi and higher, making it ideally suited for the aerospace and rocket industries. VascoMax 350 CVM, offering easy welding and heat treatment capabilities, meets demanding structural and tooling requirements. 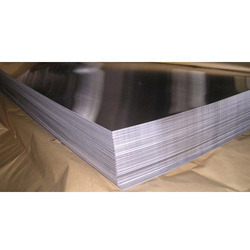 UNS K93120 Alloys (also referred to as Maraging C300® and Vascomax C300®) is a vacuum induction melted plus vacuum arc re-melted, low-carbon, nickel-cobalt-molybdenum high temperature alloy capable of attaining yield strengths in excess of 270 ksi (1862 MPa) through simple, low temperature heat treatment at 900°F (482°C). Maraging C300® exhibits good ductility at high strength levels. UNS K93120 Alloys also displays excellent notch ductility and is readily welded. Maraging 300® is one of a family of "maraging" nickel steels such as Maraging 250® & Maraging 350® which are martensitic yet ductile in the solution treated condition and attain ultra-high strength through a single low temperature aging treatment. Maraging 300® (also referred to as Maraging C300® and Vascomax C300®) is a vacuum induction melted plus vacuum arc re-melted, low-carbon, nickel-cobalt-molybdenum high temperature alloy capable of attaining yield strengths in excess of 270 ksi (1862 MPa) through simple, low temperature heat treatment at 900°F (482°C). Maraging C300® exhibits good ductility at high strength levels. Maraging C-300® also displays excellent notch ductility and is readily welded. 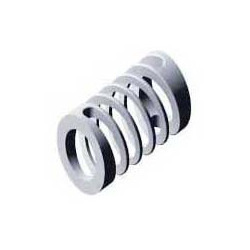 Maraging Steel C250 Wire(also referred to as Maravging C25™ and Vascomax 250™) is a vacuum induction melted plus vacuum arc melted, low-carbon, nickel-cobalt-molybdenum high temperature alloy capable of attaining yield strengths in excess of 240 KSI (1655 MPA) through a simple, low temperature heat treatment. Maraging 250™ exhibits good ductility at high strength levels and is readily welded. Maraging Steel C250 Wire is one of a family of "maraging" nickel steels (including Maraging 300™ and 350™), which are ductile in the solution treated condition and attains ultrahigh tensile strength by aging at temperatures in the range of 850/950 °F (454/510 °C). Available forms are seamless pipe, welded pipe, seamless tube, welded tube, bar, wire, sheet, plate, forgings, pipe fittings and flanges. Maraging 250™(also referred to as Maraging C25™ and Vascomax 250™) is a vacuum induction melted plus vacuum arc melted, low-carbon, nickel-cobalt-molybdenum high temperature alloy capable of attaining yield strengths in excess of 240 KSI (1655 MPA) through a simple, low temperature heat treatment. Maraging 250™ exhibits good ductility at high strength levels and is readily welded. Maraging C250™ is one of a family of "maraging" nickel steels (including Maraging 300™ and 350™), which are ductile in the solution treated condition and attains ultrahigh tensile strength by aging at temperatures in the range of 850/950 °F (454/510 °C). Available forms are seamless pipe, welded pipe, seamless tube, welded tube, bar, wire, sheet, plate, forgings, pipe fittings and flanges. Maraging C350™ is a nickel-maraging alloy. Maraging C350™ is a relatively soft but tough material, therefore, readily machined and formed. The aging process of Maraging C350™ raises the hardness to a level sufficient for many tooling applications.Typical applications of maraging steels are missile and rocket motor cases, wind tunnel models, landing gear components, high performance shafting, gears, and fasteners. Maraging steels have very high strength and above average toughness. The cobalt containing grades held by Maher are exclusively double vacuum melted (VIM+VAR) for ultimate performance and high levels of cleanness, easily meeting AMS, MIL and customer specifications. Maraging steels are essentially iron based with the major alloying additions being nickel, cobalt and molybedenum. However the low carbon content and the additions of aluminium and titanium are equally important. 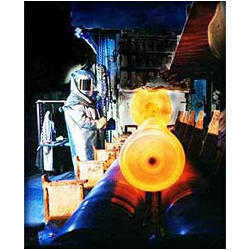 The combination yields very high strength, whilst remaining readily weldable. 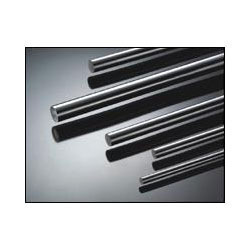 Maraging steels are supplied in the annealed condition where the microstructure consists of fine martensite. Aging to achieve final properties is a relatively low temperature procedure giving the required high strength and toughness. This low temperature treatment allows for machining close to final size since distortion is minimal. Maraging steels also retain their strength up to 450?? ?C (840?? ?F), can be nitride and have a corrosion resistance similar to that of standard martensitic stainless steels. Maraging Steel C350 Rod provides excellent strength and ductility at 340000 psi and higher, making it ideally suited for the aerospace and rocket industries. Maraging Steel C350 Rod, offering easy welding and heat treatment capabilities, meets demanding structural and tooling requirements. SIZE 6MM TO 350MM OD. Annealing can increase hardness from 28 to 30 Rockwell C to 35 Rockwell C.
VascoMax 250 (Maraging 250) is a strong, nickel alloy with outstanding ductility, offering ease of machining and forming. VascoMax 250 resists corrosion from saltwater and industrial atmospheres and can be readily welded.